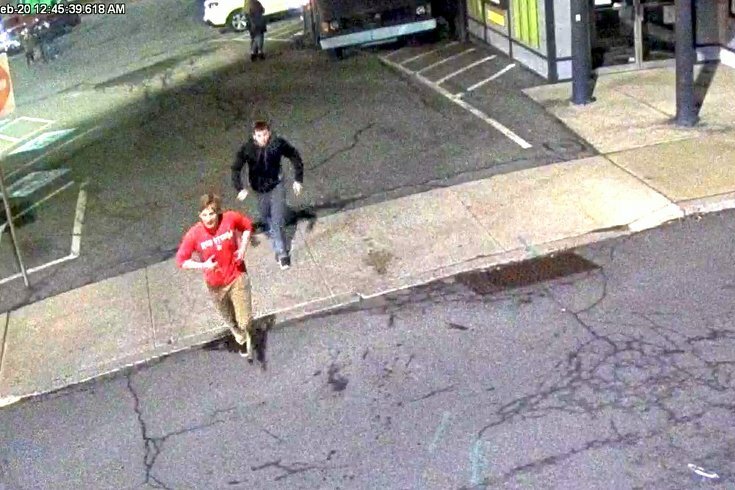 Police have identified the three suspects wanted in connection with a stabbing of a Kutztown University student, according to school officials. The university said in a safety alert Sunday they questioned all three men caught on surveillance footage near the scene of the attack of a 22-year-old male who remains in serious condition. The school thanked police in a statement and said their thoughts and prayers were with the victim and his family, who have requested that authorities not release the victim's name at this time. 3 suspects ID'd in #KutztownStabbing. Arrests(s) anticipated. If you saw incident call KPD. Victim still in serious condition. Police say they expect to make an arrest (or arrests) once their investigation is complete, adding that the incident appears to be isolated and their is no apparent threat to other students. The stabbing occurred early Saturday morning just off of campus. The victim was stabbed in the neck and ribs during the altercation, according to authorities. Police say several witnesses to the assault have yet to come forward. Anyone with information on the attack is asked to call police at 610-683-3545.